The classic 1895 gaff rigged cutter ‘Ida’ visited White Bay 6 Marine Park recently on the way back to her original home in New Zealand. Launched on the 21st December 1895, ‘Ida’ was designed by Charles Bailey Jnr and built in his yards with his brother. 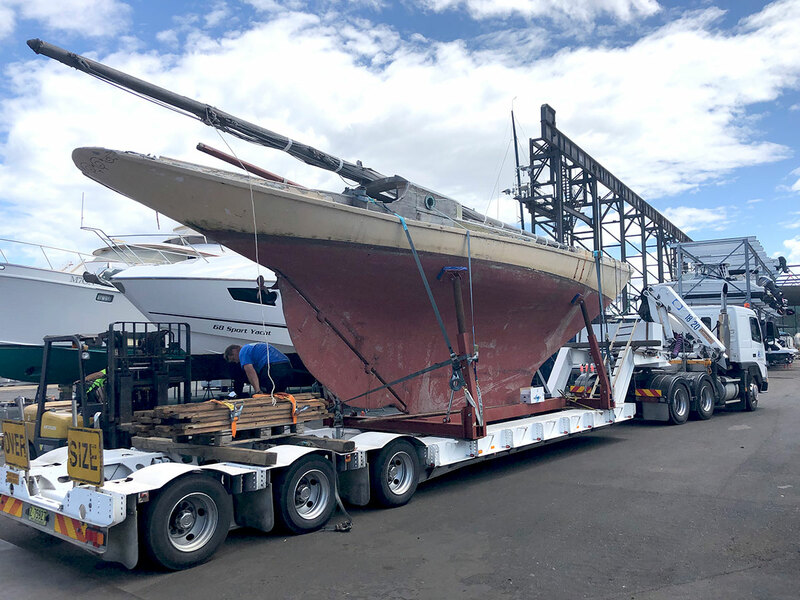 Needing considerable work, ‘Ida’ has been purchased by The Classic Yacht Charitable Trust (NZ) and is now on her way home. “Chairman of the Classic Yacht Charitable Trust John Street and boat Builder Wayne Olsen visited Sydney in August 2018 to inspect Ida, a 1895 Bailey gaff rigged cutter. Ida was for sale as the current owners Jerry Brookman and Catherine Shirley had reached a point where, due to Jerry’s ill health, they were unable to complete the planned deck restoration nor maintain her to the standard they previously took pride in. Jerry and Catherine had owned Ida for 20 years, the first 10 years of which they raced her in the classic yacht races on Sydney Harbour with the Sydney Amateur Sailing Club at Mosman Bay and the Balmain Sailing Club, where she won hands down. 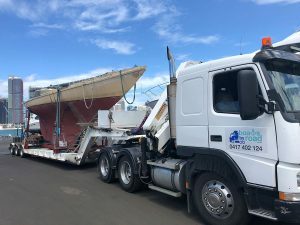 Wayne Olsen’s assessment was that, while the hull appears sound, being triple skinned kauri, it is unclear what will be found once the inner layer is pealed back. She is in poor condition with much of the rest of the boat needing replacement. A previous owner to Jerry and Catherine had applied a fibreglass skin to the deck which had cracked and allowed rot to set in.